« 1.4 million people gathered for a rally in France against gay marriage. Overhaul unit number 6 was conducted from August to November 2012. The most capital-intensive and challenging was the replacement of the end of their term of rotors of low and high pressure inside the cylinder, making it possible to increase the capacity to 25 MW power plant. For the first time at this station has implemented a ball cleaning the condenser, through which increased efficiency steam turbine, and decreased fuel consumption. Also among the major work — the reconstruction of the convective superheater pipes and steam extraction from the third turbine, which has a positive impact on the reliability and performance of the station. "Approval testing unit confirmed that the equipment is brought into service after major repairs, can work in the declared parameters of electrical loads. Now CERTIFIED power and energy generated can be implemented according to the rules of ADEM, "- commented Director of Strategy and Energy Markets, LLC" BGK "Timothy Dubrovsky. Earlier, the JSC "System Operator of UES ‘certified power reactors number 1 and number 3 in the amount of 303.2 MW each. 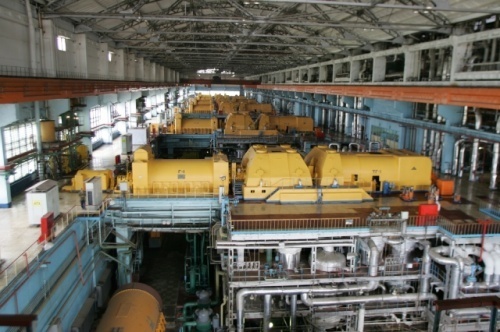 Thus, today Karmanovskaya power plant installed capacity reached 1,831.1 MW.